You are here: Home › MP Blog › Received a LOT of Caliber SRT-4 and Neon SRT-4 Mopar Stage 1 kits today. Received a LOT of Caliber SRT-4 and Neon SRT-4 Mopar Stage 1 kits today. Modern Performance is a DIRECT Mopar Performance parts warehouse distributor, and therefore we stock a lot of Mopar goodies for the Dodge Neon, Neon SRT-4, and Caliber SRT-4. Mopar has confirmed with us that we sell more Stage 1 turbo upgrade kits than any other dealer nationwide, so when we get deliveries from Mopar we usually get a LOT at once! 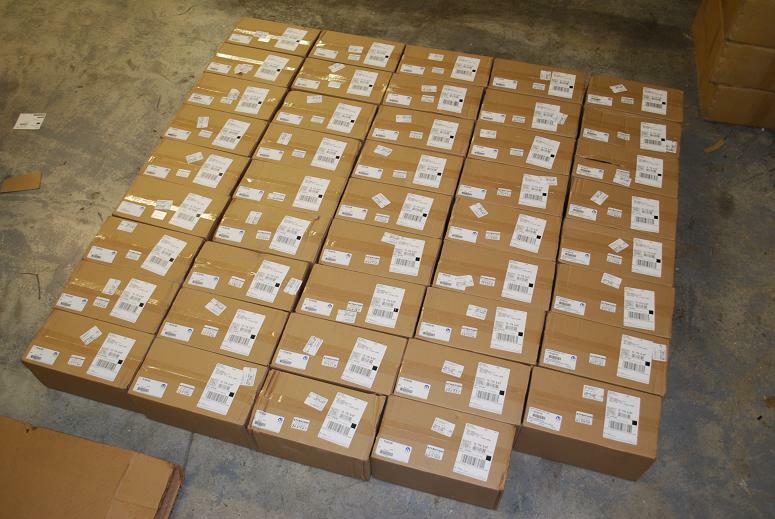 Heres a batch of nearly 50 Mopar stage 1 kits for the 2008+ Caliber SRT-4 that we received today. Not familiar with the Mopar stage 1 for the Caliber SRT-4 and want to find out more? Click here. Caliber SRT-4 owners – difference between Mopar stage 1 and Aem FIC packages. N2MB Code Scrubber for Mopar stage 2/3 equipped Dodge SRT-4’s. ERASE faulty automatic transmission codes so you can pass emissions tests! Have a 2003-2005 Dodge SRT-4 equipped with Mopar stage 2/stage 3 kit and want the Turbo Toys feature? Neon owners! We’ve got the Mopar EGR block off kits back in stock! Neon SRT4 – upgrade from stage 2 to stage 3 kit? Of course we can help! Mopar Stage 1 Badges for Neon/Caliber SRT4 now in stock!